Primate Freedom: Speaking of Research? Not so much. 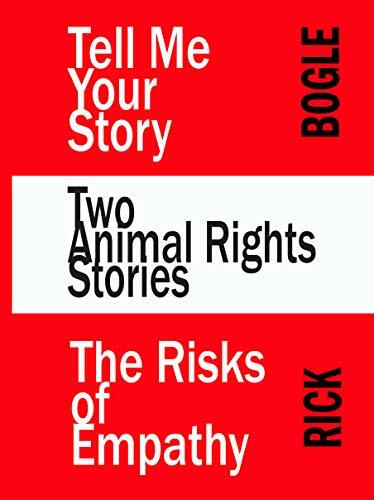 Regular readers of this blog will know that the University of Wisconsin, Madison has for the past two years presented a series of presentations they’ve billed as animal research ethics public forums. They haven’t come close to meeting their stated goals. See "'Forum' Keeps Details Hidden." Regular readers will also know that the UW-Madison has hired a vivisector from Wake Forest University whose work is based on the crushing results of depriving baby monkeys of love and maternal contact. These two situations present an opportunity. If the university is genuinely interested in engaging the public in discussion about its use of animals, particularly monkeys, then what better vehicle for doing so could there be than a discussion about the resumption of the most controversial and written about experimental method ever used at the university? To that end, I recommended to the “Ethics Forum” committee that they ask Allyson Joy Bennett to debate me. 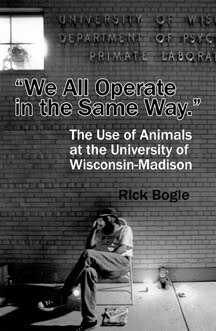 This was a reasonable request because I have organized many public discussions in Madison and on campus about the use of animals and have been invited to participate in public discussions on this topic organized by others. I have twice debated the UW Research Animal Resource Center’s Director, Eric Sandgren; I have appeared on a televised panel with him and Waisman Brain Imaging Center Director Richard Davidson; I have debated Ophthalmology Department Chair Paul Kaufman twice, I have spoken in classes and have been on a number of panels on the campus to present the animal rights side of the on-going societal debate about the ethics of using of animals in research. 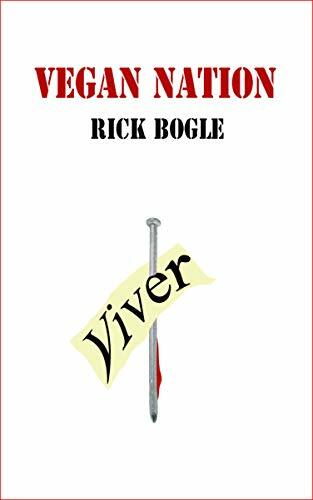 A debate between Dr. Bennett and me is reasonable too, because Allyson Joy Bennett is a member of a small organized group of vivisectors and animal lab technicians called Speaking of Research. 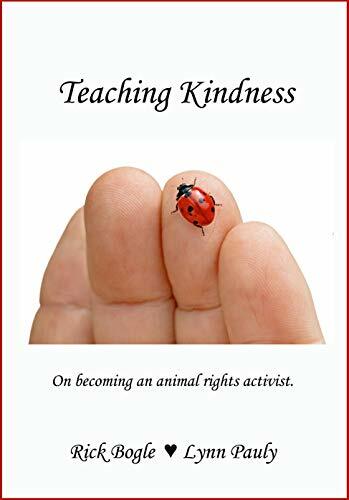 Speaking of Research claims to encourage vivisectors to engage the public in discussions about the use of animals and to defend against efforts by people like me who argue that using animals in science is almost always evil and immoral. It seems natural that someone with such an organization would relish the opportunity to take me to task. Particularly so given the very large audiences past debates I participated in at the university have attracted. She does though, feel comfortable writing PR pieces for her group’s website. The first link (I'll leave to readers to follow the others she provides) is to a PR page for the Oregon National Primate Research Center. This is the image visitors are presented with: Such an image is obviously misleading. 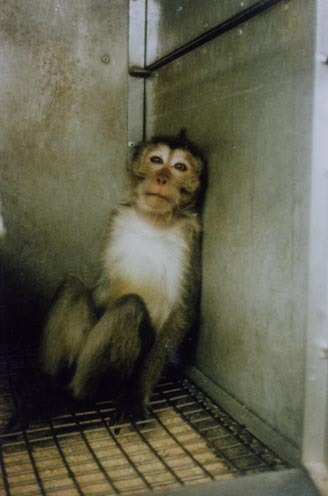 It seems reasonable to imagine that most people visiting that page, titled: "Caring for Our Animals," might have done so because -- for any number of reasons -- they wonder about the care of the monkeys being used in those labs. Why didn't they have a photo of a monkey dying from SIV or being used in an experiment? Why aren't any such images on that website? Why isn't there an image like this: The answer seems obvious. They don't really want to talk about what they do. My impression that the industry is very secretive is one that is very widely shared by those who have tried to find out what's really going on inside. 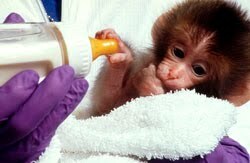 An article in the May/June Harvard Magazine about the many problems with animal care at the New England National Primate Research Center (a sister facility of Wisconsin's and Oregon's) noted that: "Animal research is extremely sensitive; institutions are typically secretive about operations at primate centers...". Essentially, all the evidence for openness cited by Bennett is propaganda, and I don't think even a moderately critical thinker would think otherwise. If this is all the evidence she has to prove that animals are well-cared for: websites produced by people and organizations with deep vested financial interests in the continuation of animal experimentation, it's no wonder she doesn't want to talk about her work in public with me. Rick, once again you show your careless disinterest in the truth. I am on the ethics forum committee, and there was no request made to the committee by you or by anyone else about a debate between you and Allyson. Even if there had been, the committee could not have answered for Allyson. And you have not contacted her. In my view, you have eliminated yourself as a reasonable candidate for any sort of debate in the future. While I may be wrong, I'm not disinterested in the truth. My comments accurately convey my understanding. I'm under the impression that the suggestion was made that talk about her maternal deprivation work or that she debate me. Odd that you say the committee can not speak for her and then you go ahead and do so. If I'm wrong that she wasn't asked, then the decision is still her's not yours, according to you. Wrong and disinterested in the truth are not the same thing. "Once again"? Very dramatic Eric. She says she "Speaks for Research." Not so much, apparently.